A GARDA ACCUSED of harassing a State solicitor could not be linked by any computer used by her to a photograph of the solicitor used on abusive posters, a jury has heard. Eve Doherty (49), a garda based in Dublin, is charged with harassing Elizabeth Howlin between September 2011 and March 2013 and making false statements claiming Howlin was perverting the course of justice. On day three of the trial former Detective Inspector Martin Cummins, now retired, showed the jury a poster which had photographs of Howlin and Brendan Howlin TD, a distant cousin of Elizabeth Howlin, printed on them. The jury has heard that the posters had been left on cars around Howlin’s estate in Blackrock, south Co. Dublin. The leaflet falsely stated that Howlin was a corrupt State solicitor and had interfered in the prosecution of a local family of “drug dealers”. The court heard that the photo of Howlin used in the posters had been taken in 2007 during a meeting between a committee within the Department of Justice and Brian Lenihan, who had recently been appointed Minister of that department. 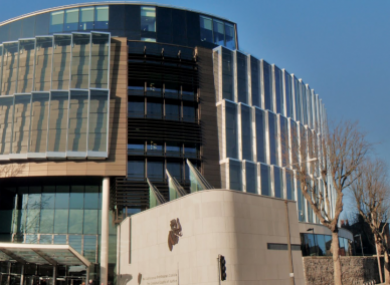 The photo of Howlin was uploaded to a website called criminalcode.ie, and the photo could only have been obtained from that website, Detective Inspector Cummins told Kerida Naidoo SC, prosecuting. The detective said that he obtained a list of IP addresses that had visited the website. Michael O’Higgins SC, defending, asked Cummins if any computer connected to Doherty had emerged from that list. Cummins told him this had not occurred. Garda Sergeant Michael McCarthy said that he had reviewed CCTV footage of the road where the posters were displayed but was unable to identify anyone as the footage was in darkness. The trial continues tomorrow before Judge Melanie Greally and a jury. Email “Garda accused of harassing solicitor could not be linked to photograph used on abusive posters”. Feedback on “Garda accused of harassing solicitor could not be linked to photograph used on abusive posters”.